Denture case with mirror X 1 , burst X 1. The waterproof effect is very good - the airtight lid won't leak, it will prevent the water out of case. The latest Japanese design - The utility model have light weight, easy carrying and good stability, applicable for outgoing. 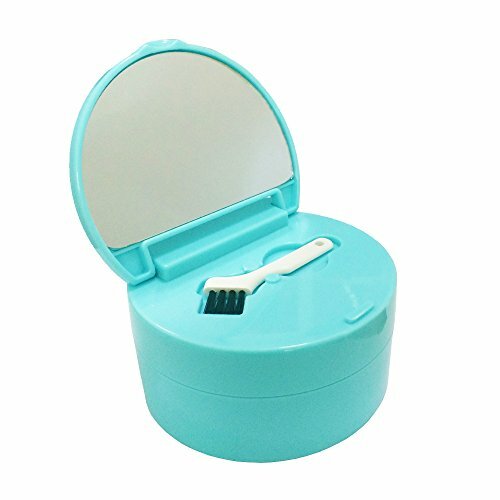 Multifunctional Denture case - the mirror is Inlaid in the lid of the case, besides it contains the brush. It's very convenient to use. Made of high quality medical ABS material - unlike other cheap plastic, our dentures case is tasteless，non-stimulating，sturdy and durable. If you have any questions about this product by KNONGMAYI, contact us by completing and submitting the form below. If you are looking for a specif part number, please include it with your message.